/ Modified sep 12, 2018 4:26 p.m.
TuSimple credits Arizona's business-friendly regulations. An autonomous tractor-trailer owned by TuSimple shown at a Tucson Press event Sept. 12, 2018. A China-based company developing self-driving trucks is expanding its testing facility in Tucson. TuSimple announced Wednesday it plans to hire 500 people here in the next two years. "Principally, the governor's executive order enabling us to do testing with a program for moving to full production deployment is the primary reason that we're here," Price said. 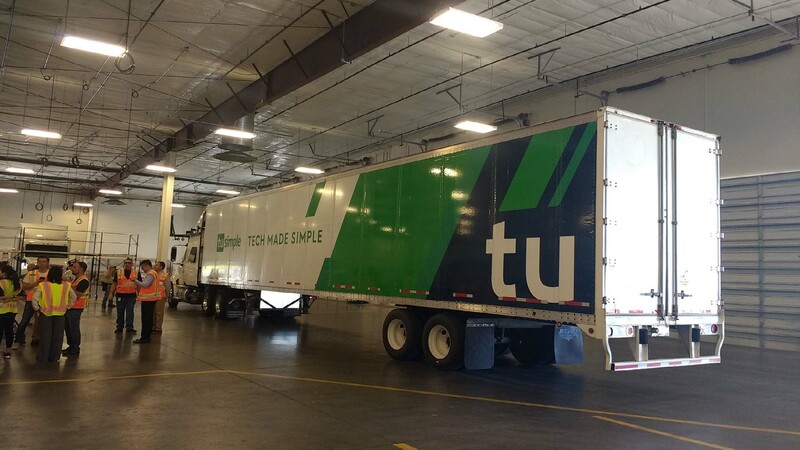 TuSimple is working toward a "dock to dock" solution for self-driving big rigs. "We start autonomously in a distribution center, we drive the city streets out onto the highway, full highway autonomy and then back on the city streets and into the distribution centers. However we try to avoid dense population areas," he said. The company is doing limited deliveries around Southern Arizona, with both a driver and an engineer in each truck. The company also has a small fleet of cars and SUVs equipped with cameras and other mapping equipment. Price said TuSimple trucks will drive only on streets and highways that have already been mapped into the company's system. The company plans to hire more drivers, as well as technical staff, as it grows its fleet.